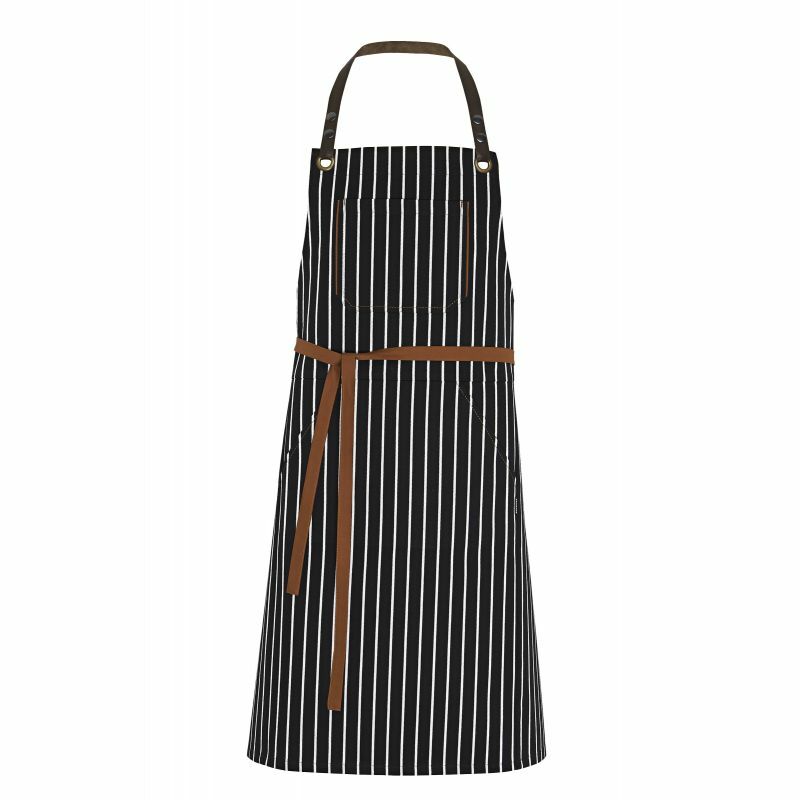 Unisex bib apron. 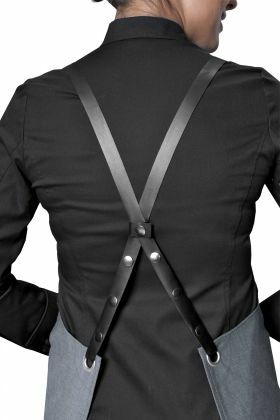 Leather neck plait, removable, adjustable with eyelets and press-studs. 1 patch pocket with contrasting trim. 2 slant pockets. Contrasting side plait. Copyrighted pattern. H. 90cm x L. 100 cm. 100% cotton. Black and white stripe.